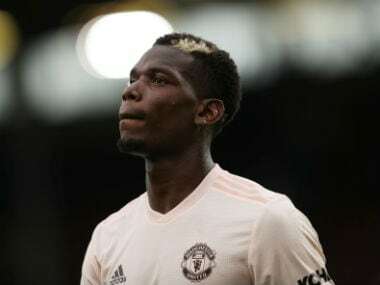 Having broken the bank to re-sign Paul Pogba for £89million from Juventus last summer, Manchester United have been heavily linked with another record-breaking move, this time for Pogba's France teammate Antoine Griezmann. The Atletico Madrid forward has an £86million release clause in his contract and it looks like Jose Mourinho has made up his mind to sign him. Griezmann recently admitted on France's TMC TV channel that there was a six out of 10 chance of joining his best pal Pogba at United. 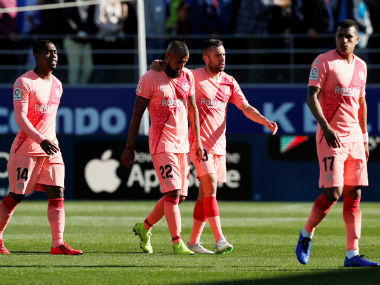 Being a huge admirer of David Beckham it appears that Griezmann – who is considered as the busiest player in Europe this season – has informed Atletico he wants a new challenge. What also adds to the lure of United for the 26-year-old is that he could be given the iconic No 7 jersey which has been worn by the likes of George Best, Eric Cantona, Beckham and Cristiano Ronaldo. According to Antonio Ruiz, a Spanish journalist who covers Atletico Madrid, told radio station Deportes COPE: "Griezmann has transmitted it to the noble zone of the club that wants to leave." ATLÉTICO DE MADRID | @RuizAntonito: "Griezmann le ha transmitido a la zona noble del club que quiere salir". Earlier, when United lifted the Europa League trophy, Mourinho urged United executive vice-chairman Ed Woodward to a deal wrapped up for the 26-year-old forward. "You have to ask Ed Woodward. He knows since March who I want, what I want, how much I want — he knows everything since March," said Mourinho. "And now it's for him to work because he will have holidays in August, and in August I am working," he added. Meanwhile, Atletico president Enrique Cerezo admitted that he was confident Griezmann would remain at the La Liga club. "Griezmann will stay here. Not here at the Calderon, but at the Wanda (Atletico's new stadium from next season)," Cerezo was quoted by Spanish newspaper Marca. 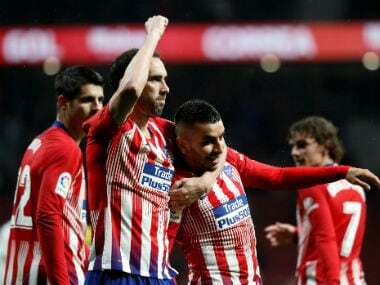 Griezmann is seen as the ideal attacker for Mourinho, who would want more firepower up front, with the Frenchman scoring 26 goals in 53 appearances this season. Alexandre Lacazette, meanwhile, is the frontrunner to replace Griezmann at Atletico after Lyon's president confirmed that the Frenchman will be leaving the Ligue 1 club in the summer.